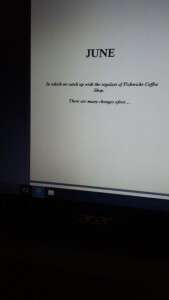 Novel Progress 11: Almost there…. 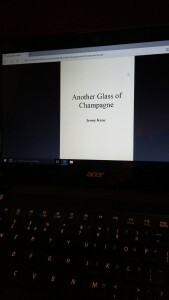 From the initial notes in my notebook, through to the first draft, edit, re-edits, editors proofs, and now- with the pre-order option available on Amazon, I am at the penultimate stage of the production line for my latest novel- Another Glass of Champagne. Stage 11 is triple checking the typeset proofs. However hard a writer or editor works, there will always be errors in a novel. How can there not be when there are (usually) over 90,000 words involved? It’s impossible to catch every single typo- although I wish we could! Checking through the typeset version of our work is the very last chance to spot those errors. Once I’ve read the typeset then that’s it- there is nothing I can do! My novel is out of my hands. It is a weird feeling- to no longer have control over all the words my imagination conjured up for my fingers to reproduce on my laptop screen. It is also a touch frustrating, because I know that somehow, during the printing process, new mistakes will appear that have nothing to do with me or my editor. The computer involved with printing will just ‘correct things.’ It happens- and we have to accept it- but it is annoying! However! 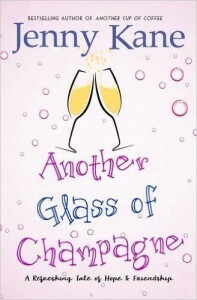 Printer errors aside, this is an exciting time- because the only stage left is number twelve – publication! Roll on 9th June!! I can’t wait to see the final episode of Amy, Kit, Jack, Peggy and Megan’s story reach the world.